Its hard to tell where the land starts and the water stops. 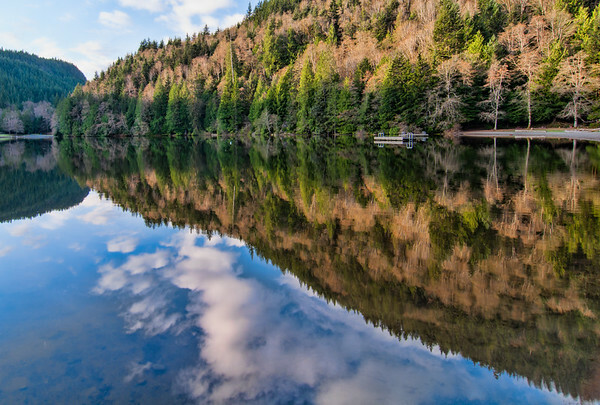 Taken on a beautiful spring evening at Alice Lake near Squamish BC. 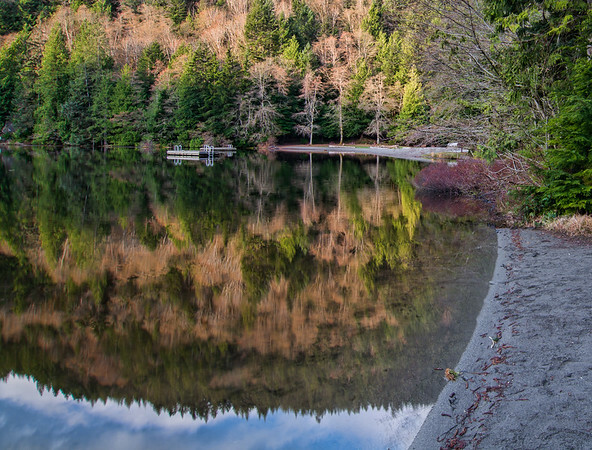 Alice lake is probably one of the most popular camp sites in British Columbia. It is hard to get a site on summer weekends without getting up there early or reserving weeks in advance. 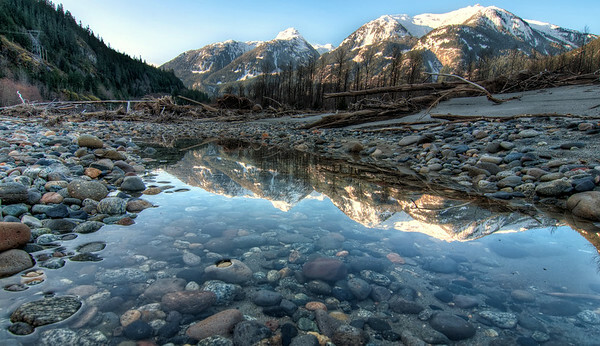 I took this photo in the spring when the water was still too cold to swim so there were not as many people out. 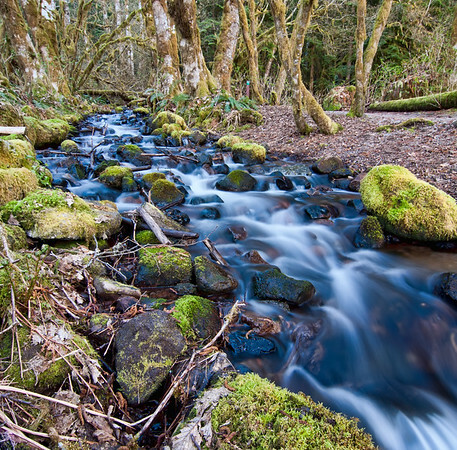 Stream running through the forest along side a hiking trail in Alice Lake Provincial park new Squamish BC, Canada. 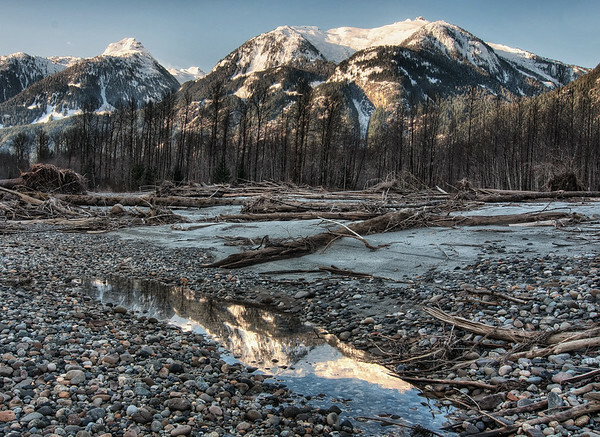 Trees along the riverbank of the Squamish River. 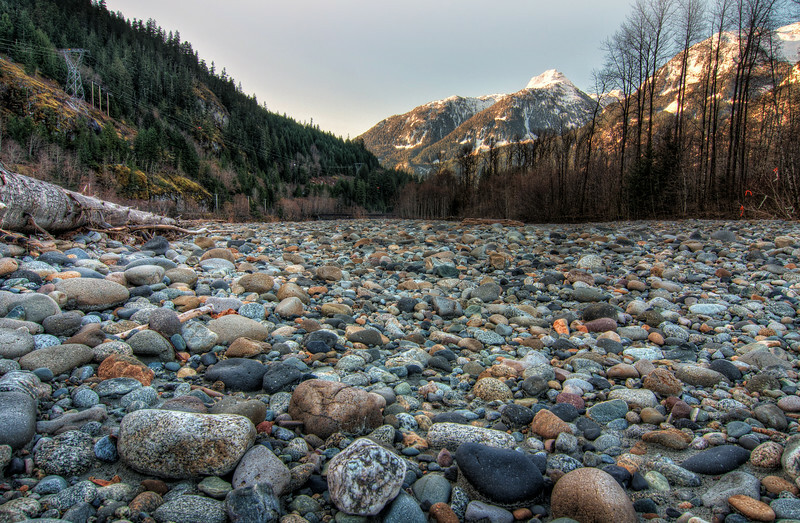 This small creek ran into the Squamish river, ice cold but beautiful. 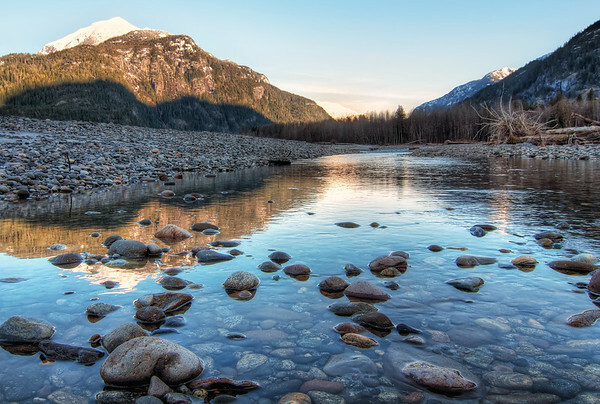 I found this pool of still water along the Squamish river, perfectly calm below the snow capped mountains.